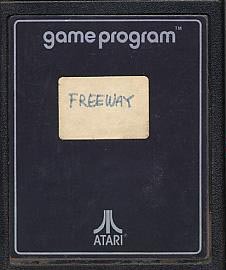 Freeway by Atari?!?! 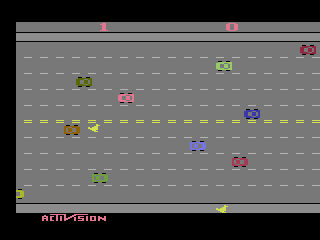 Yes your seeing it right, this Activision prototype is in an Atari case. This is most likely because it is a copy rather than a true WIP prototype. 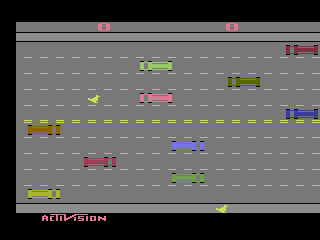 This theory makes sense since this particular prototype came from an Ex-Atari employee who had access to all the proper equipment. This prototype is the same as the final release.